W994SB - "IF I CAN BELIEVE IT, I CAN DO IT!" Exclusively Ours! 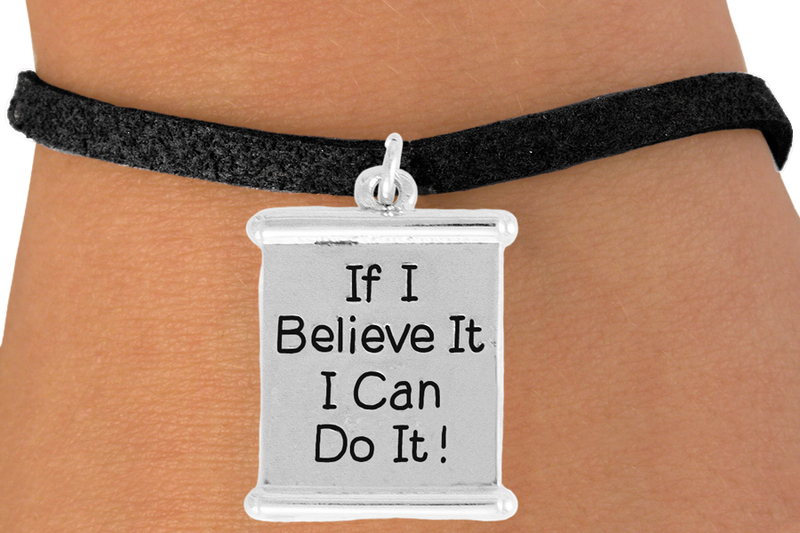 Lead & Nickel Free "If I Believe It, I Can Do It!" Heart Charm Comes On A Bracelet Of Your Choice: Lobster Clasp Chain, Toggle Chain, Brown Suede Leatherette, Or Black Suede Leatherette.